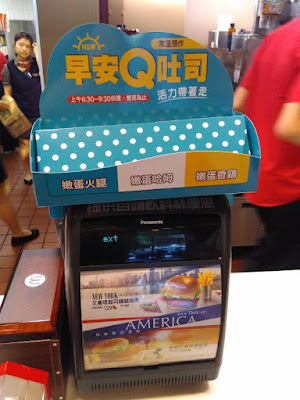 The Q Toast was introduced in Taiwan in early 2015, and even though I have been to Taiwan 4 times since it was launched, I never was able to give it a try. The first time I went to give it a try, I learned they only sold it between 6:30-9:30am, and not for the full breakfast hours. I returned a couple days later only have them completely sold out by 8am. Another time I tried to order it at the airport branch only to find they didn't sell it, and a final failed attempt was when I went on the weekend, only to learn these are sold MON-FRI 6:30 to 9:30am at certain branches, by the time I made my way to a different branch, they were sold out as well... I actually almost missed it this time as well as my trip to Taiwan was only a quick overnight visit, as The Wife and I had an early 8am departing flight, which meant we had to leave our friends house at 6am. We even stopped at a local branch near their place at 6am in hope they would sell me one early, but they were firm about the 6:30am launch time. We arrived at the airport ~6:45am, and after quickly checking in, I made one final check at the Terminal 2 McDonald's Branch in the basement food court where I was finally able to order my Egg & Ham variant. 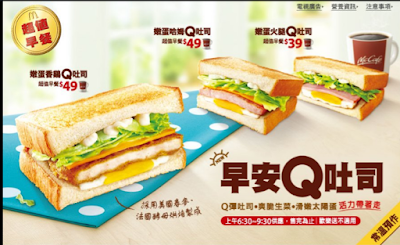 The toast sandwich itself isn't really all that special, it's only made with a single slice of toast and half of the standard McDonald's breakfast sandwich ingredients and since it's not that interesting, I was never overly disappointed missing it so many times. It comes in 3 variants, Ham & Egg, Sausage & Egg, or Chicken & Egg. 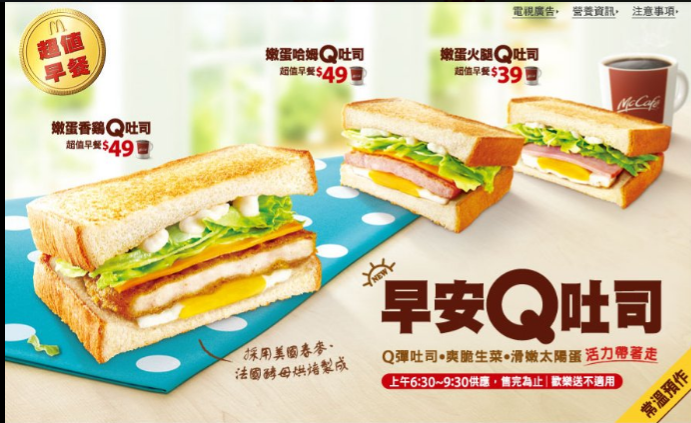 I have a very good feeling that these are popular, because of their very low price point rather than the quality of the sandwich, as you get both the sandwich & a medium coffee for 39-49NTD depending which meat you order (~$1.20). That's cheaper than just the coffee in most countries, so to get both it really is a great value. I went in not really expecting anything special from this sandwich, and it tasted exactly as expected. If I ever wanted a coffee in Taiwan, I'll be happy to order this value set again as it's cheaper than just buying a coffee from 7-11! The sandwich would never fill you up, and it's perfect for a snack, it just won't replace your breakfast.